Ginger benefits in healing a lot more diseases beyond mere cough and cold. For instance, it is useful in curing indigestion, colic diseases, anorexia, motion sickness, joint pain, toothache, headache, etc. Usually, the rootstock of this aromatic rhizome is used, whether dried or fresh. The herb is also used for flavoring various culinary preparations. Moreover, certain varieties of tropical ginger plant is also used in landscaping for aesthetic appeal. Scientific Name: Zingiber officinale Roc. Ginger is native to Southeast Asia. This perennial herb is cultivated in India, China, Nigeria, Indonesia, Bangladesh, Nepal, Brazil, Japan, Thailand, Sri Lanka, USA, Australia, etc. It belongs to the Zingiberaceae family. Ginger has diaphoretic, antiemetic, circulatory stimulant, expectorant, digestant, antimicrobial, rubefacient, carminative and anti spasmodic properties. Regular consumption of ginger regulates blood sugar levels, reduces blood pressure and lowers LDL cholesterol. It is also helpful in getting rid of migraine headache. The herb contains chemicals that control nausea and inflammation. Thus it is highly beneficial in reducing motion sickness, morning sickness and chemotherapy related nausea. The anti inflammatory quality of ginger provides relief from rheumatoid arthritis pain. Ginger inhibits the growth of toxic bacteria and cancer cells in the colon. In addition, it has anti ulcer qualities that help prevent ulcers. Benefits of ginger also include relief from constipation, diarrhea, intestinal gas, flatulence, dyspepsia, stomach ache, and so on. However, it may irritate gastric ulcers. It helps soothe sore throat and treats common cold, cough, asthma and bronchitis. Plus, it acts as an antihistamine and hence is useful in dealing with allergies. The herb facilitates colon cleansing as well. Ginger contains essential oils and amino acids. Furthermore, it is low in saturated fats and rich in vitamin C, vitamin B6, potassium, magnesium, manganese and copper. It does not contain cholesterol. Here’s an interesting video explaining ginger health benefits. • Having one teaspoon of ginger juice mixed with honey is one of the best natural home remedies for nausea, vomiting and dizziness. You can also mix onion juice. • Add one teaspoon each of ginger juice, lime juice and mint juice in a glass of water. Add some honey, too. Drink this solution to heal heartburn and indigestion. • Ginger benefits in increasing appetite. Thus, you can take a ginger slice, put some lemon juice on it and sprinkle salt. Consume this mixture daily to improve your appetite. • Take one teaspoon each of ginger, cumin, cinnamon powder and add some honey in it to make a thick paste. Consume one teaspoon of this mixture three times in a day to cure diarrhea. • Mix one teaspoon each of cardamom and ginger powder in a cup of water. Add a pinch of asafetida in it and drink the solution to get rid of stomach gas. • Ginger juice can be used as ear drops to relieve earache. • Prepare a paste by grinding a piece of dry ginger (Sonth) and asafoetida in milk and apply it to cure Rheumatoid arthritis naturally. Keep the affected area exposed to sun for sometime to make this therapy more effective. Plus, eat half an inch of ginger root regularly. • When dealing with joint pain, apply a mixture of warm sesame oil or mustard oil and equal amount of ginger juice. • Mix half a teaspoon of ginger juice and little honey in a semi boiled egg. Have this mixture during night as a natural remedy for impotence. • You can prepare ginger tea by adding slices of a one-inch ginger piece in a cup of boiling water and letting it steep for about 15-20 minutes after covering it. Finally, add honey. This soothing tea strengthens the immune system and boosts circulation. For more help, check out this video showing how to prepare ginger tea. You can also mix lemon juice in it to cure cough, cold, sore throat, heartburn and fatigue. 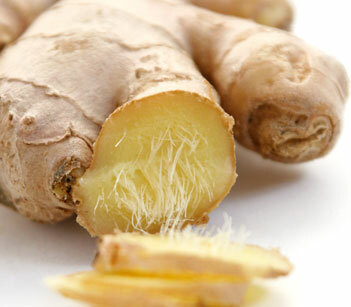 Another benefit of ginger tea is that it induces sweating which, in turn, reduces fever. • Inhaling vapors of hot ginger tea helps reduce cold and congestion. • Taking one teaspoon of a mixture prepared from equal quantities of dried ginger, pepper and long pepper serves as a good ginger remedy bronchial asthma. • Prepare herbal tea by adding half a teaspoon of ginger powder, a pinch of clove and cinnamon powder in a cup of boiling water. Add honey. Drink this decoction to treat cough naturally at home. 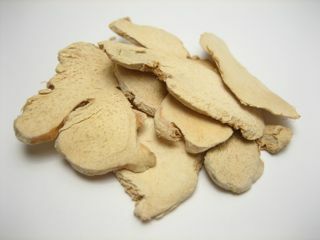 • Having 1/3 teaspoon of dried powdered ginger relieves migraine headache. 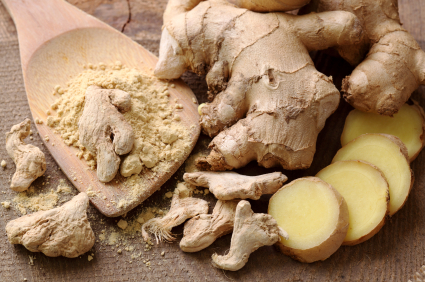 For tension headaches, apply a paste prepared by rubbing dry ginger on a grinding stone. Add a few drops of water to make the paste. • Mix one teaspoon each of ginger and turmeric powder. Add sufficient water to prepare a paste. Apply this paste on boils to cure them. • Ginger benefits in getting rid of menstrual problems like menstrual cramps and irregular menstruation. Take a piece of fresh, ground ginger and boil it in a cup of water. Consume this solution after meals, three times in a day. You can also add brown sugar in it. • Before meals, chewing ginger sprinkled with salt aids in digestion. Simply eating ginger eases sore throat. When dealing with toothache, chew it for about half an hour to relieve the pain. • Chewing ginger pickled with vinegar removesbad breath after a meal. Ginger works as a food preservative as well. Besides, it provides a warming flavor in biscuits, cakes, and beverages like beers and ales. The characteristic pungent flavor and odor of this spice comes from its principal compounds, that is, zingerone, shogaols and gingerols. When taken in excess, it can give rise to issues like stomach discomfort, belching, heartburn, diarrhea in some individuals. Besides, when applied on skin, it may cause skin irritation. In addition, though ginger benefits in the natural treatment of diabetes and cardiovascular conditions still, do consult your doctor before taking it as a remedy. Same is the case with pregnant and breastfeeding women (should not take more than 1g ginger per day). This herb is likely to interfere with blood thinning medications, thereby increasing the risk of bleeding and bruising because of slow blood clotting. Plus, as it helps lower blood sugar and blood pressure, it may interfere with anti diabetes medicines and calcium channel blockers.